You have been judged and sentenced in Lancaster Gaol and now you must accept the consequences of your crimes. You are guilty of witchcraft and sentenced to hang - with no right of appeal. The crowd cheers and it's your turn to face the drop. The noose is ready as are the Judge, Priest and executioner. 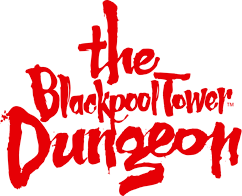 The thrilling faster than gravity drop is the ultimate end to your Dungeon journey. How it felt to be hung as a witch. How loud the crowd cheered with excitement. What a cracking neck sounds like. Cringe! I have a medical condition, can I ride Drop Dead? Is there a height restriction for the Drop Dead ride?